Many photographers start off using a smaller, crop body sensor, such as the APS-C sensor found in Canon DSLRs, or the DX format for Nikon users.These sensors are typically 1.3x (APS-H), 1.5x (DX), or even 1.6x (APS-C) smaller than conventional 35mm "Full Frame" (or FX for you Nikon users) sensors.I recently made the jump from an APS-C equipped Canon T2i (550D for those of you that are overseas) to a full frame sensor equipped Canon 6D.Here's my experience. I, like many aspiring photographers, jumped into the DSLR community through one of the various entry level DSLRs.After hearing advice from my soon to be girlfriend about which cameras I should look at, I decided on the Canon EOS Rebel T2i as my starting point, citing reasons that she had already had a collection of EF lenses that would work with that camera, as well as some well worded arguments against Nikon (I won't get into that here, and please do not get into that in the comments).Unable to afford the $500-$700 to get started at the time, I decided to start saving up. Christmas 2012, I received my T2i as a gift from my mother, second hand, as she had purchased it a while back for herself, but didn't use it nearly as much as her Canon point-and-shoot.Barely used, the camera was just like new, original packaging and all.With the body, I received the 18-55mm f/3.5-5.6 IS kit lens, as well as the 55-250mm f/4-5.6 IS telephoto, along with a couple 58mm UV filters.Little did I know this was the jumping off point for me into the deep abyss that is photography. I immediately dove in and purchased myself a Canon 40mm f/2.8 STM pancake lens (over the plastic fantastic, the 50mm f/1.8), since I wanted to play around with a prime lens and the price was right, just $150 at the local Best Buy.Buying a prime lens was one of the best things I could have done, as it taught me more about composition and thinking about the shot before composing it than using the (admittedly) crappy kit lenses I owned. After shooting with my (now) girlfriend for almost a year, comparing shots with her full frame Canon 5D Mark II, I was, needless to say, *very* jealous.How was she able to get such wonderful shots with amazing depth of field, color renditions, AND be shooting at a higher ISO than me with less noise?Even when I was shooting with her 24-105mm f/4L IS USM, 70-200mm f/2.8L USM, 50mm f/1.4 USM, or 15mm f/2.8 Fisheye, her shots always came out better!I originally blamed a lot of this on inexperience with my camera, but after becoming comfortable with my T2i, I began to realize the limitations. The limitations I had were pretty easy to spot.Noise became unacceptable at any ISO above 800.I couldn't do ISO levels in ½ or even 1/3 stops, I had to jump 100 to 200 to 400 to 800 to 1600.ISO 1600 was my limit, even though the camera would natively support up to ISO 6400, but the noise was so bad even at ISO 1600 that I had to convert most of those pictures to B&W or suffer the consequences of my incessant pixel peeping. Finally, the last straw came.I had received a Canon 35mm f/2 from my girlfriend for my birthday (I retaliated with giving her an Canon Elan 7E 35mm film camera for my birthday).This lens was wonderful for walk around, but still, it didn't give me the wide angles I so very much desired. I upgraded my camera further, with a battery grip and a 430 EX II Speedlite to try and combat my high ISO woes, which it helped, but I STILL wasn't able to get the wide angles I wanted and that's something that I'd have to dump $1,000+ into a wide angle zoom that was specific for APS-C sensors, which didn't make sense, since I was destined to buy a full frame at some point. Around the time of Cyber Monday (as they've come to call it), I found a deal at Adorama for a Canon 6D with an extra battery, Manfrotto monopod, 16GB 30MB/s SD card, and sling bag for $1600.Being $200 less than what the normal going rate was for just the body and knowing I had a 40mm f/2.8 STM and 35mm f/2 lenses that would work with the new body, I decided to bite the bullet and try my luck with Bill Me Later.30 seconds later, I had accidentally purchased the camera I didn't expect to buy for another few months (I suppose my credit had recovered from my idiocy in my college days). A few days later, I had upgraded my camera from my lowly T2i (not a bad camera by any means, and will still be used for telephoto sports/etc) to my 6D.I didn't expect to produce many good photos off the bat, given the significant changes from the T2i, but I tried my luck. First thing I noticed was that the light sensor, instead of going from -2 stops to +2 stops, now goes from -3 to +3.This changed the way I had to look at the light meter and I had to learn what I used to shoot at (slightly underexposed), was turning out VERY underexposed.Quickly I corrected that and images were coming out quite a bit better. The next thing that I noticed is that, when comparing to my friend's 60D at 35mm f/2, we shot same exact settings and received the same amount of light.Contrary to what I had been lead to believe that full frame sensors would gather more light, that's not particularly true.The 6D DOES have less noise at higher ISOs.With DxO Optics Pro Elite 9, I'm able to take noise down to a reasonable level even at ISO 3200 and above.This wasn't possible with the T2i.Period.So, in a roundabout way, the full frame DOES perform better in low light, but only because the sensor allows me to shoot higher ISOs with less noise.That being said, the image quality is INSANE when compared to the T2i w/ the same settings/lens. I had to get a decent walkaround wide-angle zoom for the 6D, now that I had unhooked myself from that 1.6x crop factor, so I grabbed a 17-40mm f/4L for $250 cheaper than retail because of two of the smallest blemishes I've ever seen on the barrel of a lens, which was noted in the Adorama ad.I'd like to take a moment here to plug Adorama's used equipment evaluation process, because it is WONDERFUL.An E+ lens is described as having the lens glass flawless (the copy I received was indeed), and only having minor blemishes on the barrel of the lens under close inspection.This description is SPOT ON, and I received a practically brand new lens for a severely discounted price.Granted I didn't get the hood or pouch that are typically given with L lenses, but I purchased a hood with it just in case that happened.Major props to Adorama. Now, I have absolutely no problems with wide angle.Barrel distortion is taken out by DxO Optics Pro.The "PRIME" noise reduction algorithms work flawlessly.Though it takes some time on my ultrabook to export a photo with PRIME enabled (8-15 minutes), it's well worth it.The default settings for lighting, noise reduction, and color correction are spot on and have immensely helped my photos look much, much better than the photos I've exported through Lightroom.I'll do a review on the two later. All in all, I haven't had much time with my 6D yet, but I've got to say, the full frame advantage is definitely there.The image quality is outstanding.Dynamic range trounces that of the T2i I had before, and even though I said I wasn't going to get into the Nikon/Canon debate here's my two cents for those looking at upgrading to a full frame and possibly jumping whichever ship they're on. The D600, on paper, trounces the 6D.However, remember that because it has a larger MP sensor, the pixels are closer together.Closer together pixels translate to more noise.Though the dynamic range of the D600 is much higher than the 6D, those tests are performed at ISO 100.If you look up some tests of real world noise comparisons between the two, you'll quickly notice that once you jump into, say ISO 800, the cameras are on par, and anything over that, the 6D retains less noise and produces more dynamic range.Do your research before buying, as there's a lot of misleading statistics that are out there.Look at real world tests, not just what it says on paper. 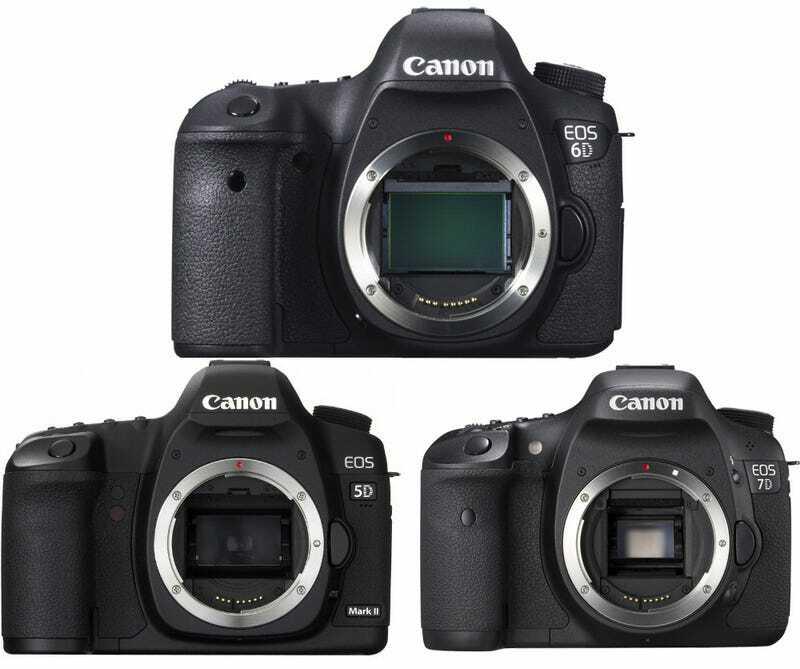 That's it for my D600/6D comparison debate, though if you'd like to converse about it (not argue, but have an actual conversation), feel free to bring it up in the comments. As far as moving to a full frame: I expected a lot more instant gratification from simply upgrading my gear, but I've found that there's actually a learning curve as you attempt to learn about the camera you are using.I'm not going to go into the specifics of the overly touted GPS and WiFi built into the 6D, though I will say I use the WiFi feature more than I thought I would. The couple of features I would like to bring up that are less advertised are the ability to do RAW->JPEG conversion on camera as well as multiple exposures on camera (which I haven't seen on a DSLR up until this point). I may have gone on a tangent a bit, but I'll jump more in depth as I have more time to review the camera and throw some more glass on it. (Though I will say, taking advantage of TheGirlfriend's 15mm f/2.8 Fisheye is AMAZING on a full frame).